segregation, law enforcement, economic obstacles, and voting rights. to look in the mirror as we think about who we are and whom we serve. deeper understanding of these issues should read this book." recommend this revised edition to you. It remains a must read." 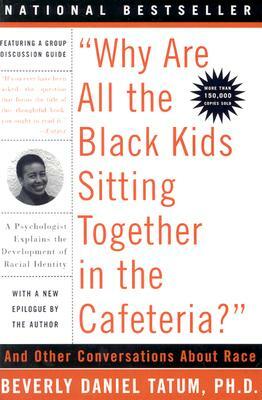 "In 1997, Why Are All the Black Kids Sitting Together in the Cafeteria? changed the conversation about race and racism in our nation. Twenty years later, this new edition is sure to do the same, this time with thoroughly updated information about the growing ethnic, racial, cultural, and religious diversity that now characterizes the United States, as well as important insights about persistent barriers to authentic integration and shrinking opportunities for many segments of the population. Given the current sociopolitical context in which we find ourselves, a context too often defined by exclusion and the stubborn persistence of bigotry and racism, this new edition couldn't have come soon enough!"